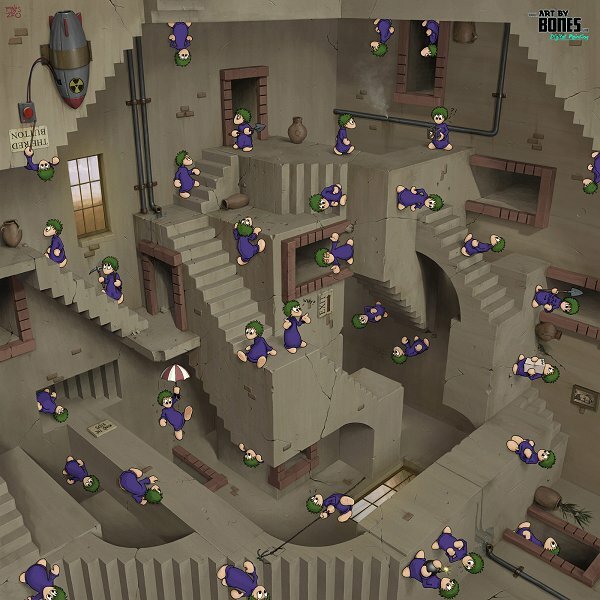 Based on Escher's Relativity artwork show us many lemmings, who lost in this strange room. It reminds us good old game Lemmings, in which a group of lemmings tried to find the exit from labyrinths. Will they find the way out from here?